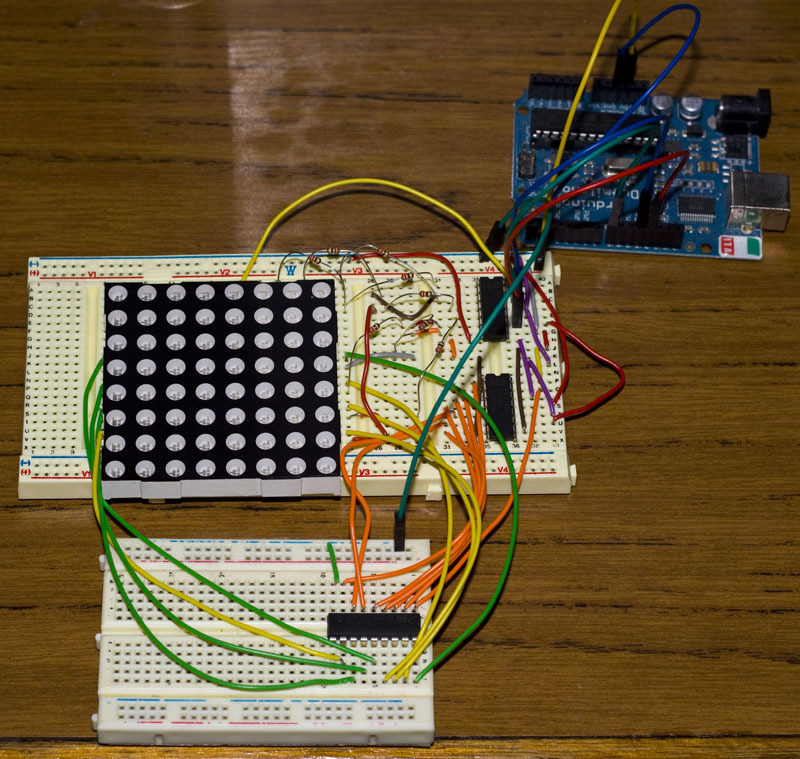 I’ve finally got around to wiring up my 8×8 LED Matrix and now it’s time for some fun with it. Though out playing with this I’ve learnt about shift registers and how we can use them along with a transistor array chip. insideGadgets © 2019 All Rights Reserved. 53 queries in 0.080 seconds.